A 100% full red, beautifully striped Braeburn that colors 14 to 21 days ahead of other Braeburn cultivars and finishes off as a full rich red with a strong stripe. 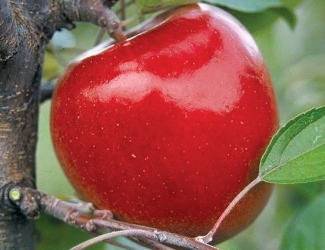 Kumeu Crimson ripens with other Braeburn cultivars and has the typical tart Braeburn flavor with crisp white flesh. This variety ships and stores very well and has the normal Braeburn growth habit (high vigor rootstocks are recommended).